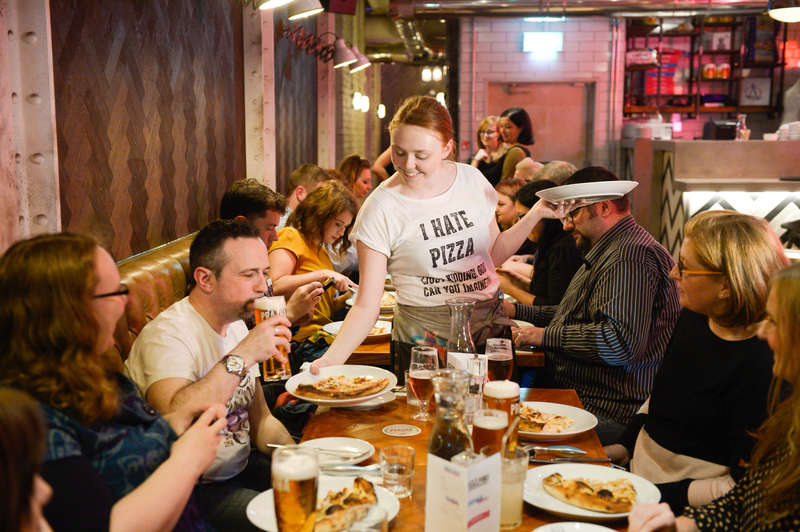 After the recent influx of burger joints and steak restaurants to open up in and around Glasgow city centre, there's a pizza revolution under way on St. Vincent Street. 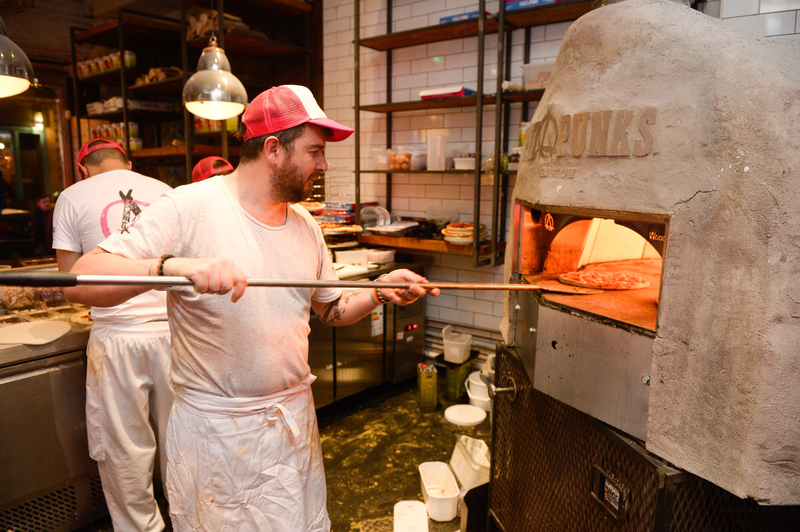 Inspired by a love for proper pizza, Pizza Punks opened their doors at the end of September, offering a huge range of artisan and wood fired pizzas, cocktails and craft beer. 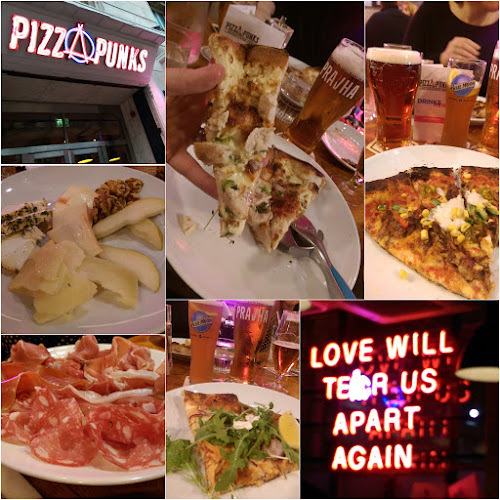 Unfortunately, we were on holiday when Pizza Punks had their official launch party but last week they hosted a press event so I made my way into town on a cold rainy night to see what all the fuss was about. On the night we were treated to three different pizzas from the 'St. Vincent Street Loves' section of the menu, each served with a matched beer from the Molson-Coors stable of beers. The head pizza chef explained that their pizza dough is made the day before and left to prove for up to 24 hours, resulting in a dough that when cooked, really stands out from the crowd. 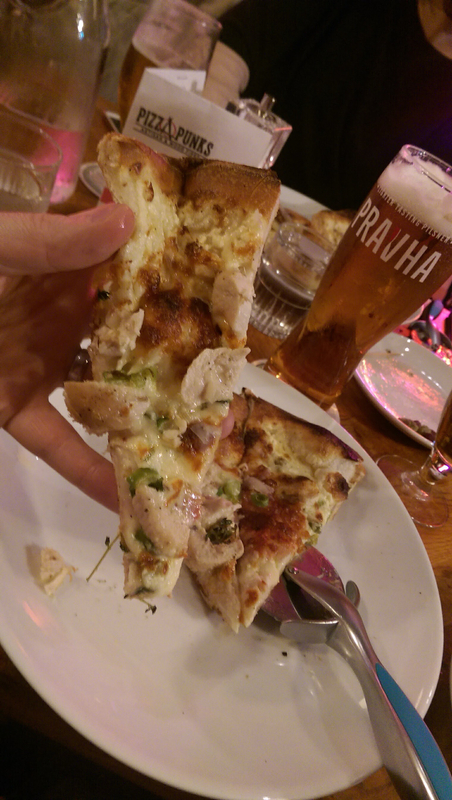 The first pizza out was a twist on the Italian carbonara, loaded with lemon thyme roast chicken, speck and scarmoza (an Italian cow's milk cheese similar to mozzarella) on a bed of panna sauce (a blend of whipped cream and crème fraîche). The pizza toppings were packed with flavour and the base was light and crispy. The base was one of the nicest that I've had, smoky from the wood fired oven with a crust that would be perfect for dipping in a side of garlic butter. To match this pizza, we were served a pint of Pravda, a pilsner style beer brewed by the Staropramen brewery in Prague. The beer was crisp and refreshing and despite being only being 4% ABV, Pravha had plenty of character to stand up against some of the higher alcohol content premium beers. 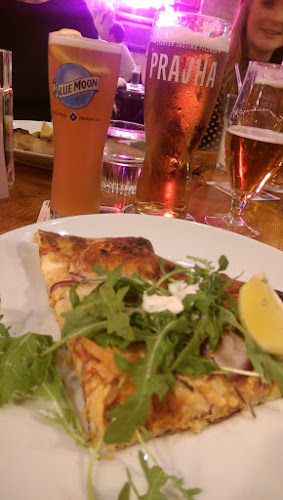 Next up was a pizza loaded to the max with hot smoked salmon, rocket, capers and tartar sauce. Now although I love all of these ingredients normally, they just didn't work for me as pizza toppings. The accompanying beer, Blue Moon,was much more to my likening. Blue Moon was one of the first craft beers that I ever tasted and although now owned by Molson-Coors, the Belgian style wheat beer from America is as good as ever. Whilst the two previous pizzas were probably not ones that I would have ordered, the last 'course' of the evening played right into my tastes. Chipotle & chocolate pulled pork with jalapeños and roast corn salsa, were the perfect match to the rich San Marzano tomato sauce base. The pulled pork was fantastic, tender and juicy with a wonderful spicy kick and massive depth of flavour from the chocolate and chipotle. 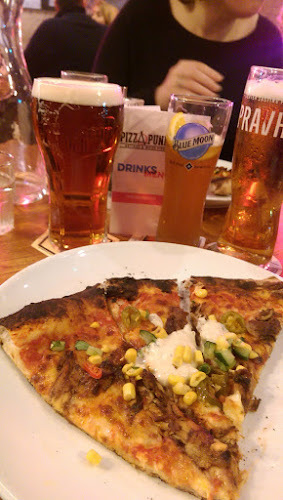 This pizza was a winner for me and when matched with the wonderful Chieftain IPA from Fransican Well Brewery, it rounded the evening of perfectly. 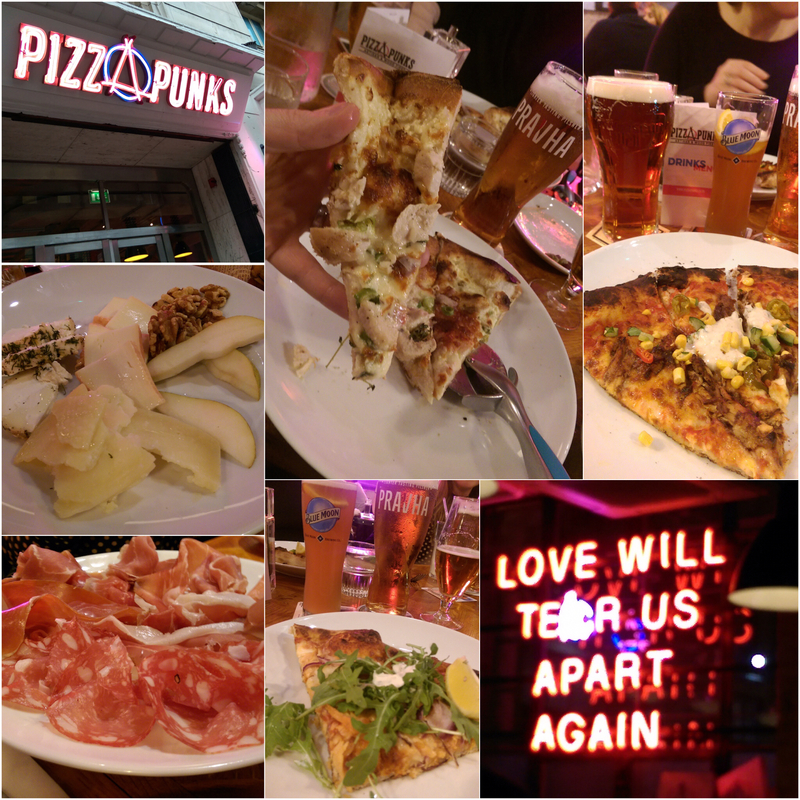 I enjoyed my first visit to Pizza Punks and look forward to getting back to work my way through their almost endless supply of pizza topping as well as sample more of their impressive range of craft beer. One of the best things about Pizza Punks and one of the main reasons why I would give serious thought to visiting a pizza restaurant, is their simple approach to the menu. All of the pizzas are charged at just £9 regardless of how many different toppings that you want, which means that there is the perfect pizza for everyone at an affordable price. I would like to thank the staff at Pizza Punks for the invitation to come along last week plus thank them for their hospitality on the night and hope to see you soon. Pizza Punks is open Mon-Fri 8:00am-1:00am, Sat 10:00am-1:00am and Sun 11:00am-1:00am so whether your looking for breakfast, lunch or dinner, there's a pizza waiting for you. 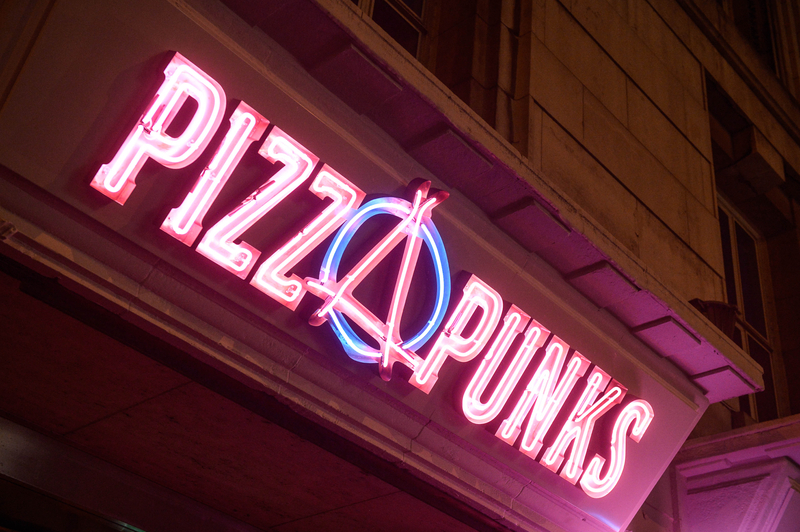 Keep up to date with Pizza Punks on Facebook and Twitter.